East Cost Welding is a job shop that has been in business for 25 years, servicing industrial, commercial and residential customers. 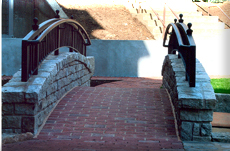 One of our specialties is the fabrication of railings, both commercial and residential, made from either steel or aluminum. We offer different finishes such as prime and paint, hot dipped galvanized and powder coating. 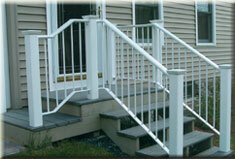 * Exterior rails fabricated in aluminum and powder coated are virtually maintenance free. We also service the marine industry in the fabrication and repair of stainless steel rails, outdrive repair, such as; skeg’s and cavitation plates, along with the fabrication and repair of aluminum docks.